Winner of seven 2013 Olivier Awards, including Best Play, this thrilling production is coming to Glasgow’s King’s Theatre in August 2017. The innovative production of The Curious Incident of the Dog in the Night-time is coming to Glasgow’s King’s Theatre from the 15th until the 19th of August 2017. The National Theatre’s internationally acclaimed production of The Curious Incident of the Dog in the Night-Time returns in 2017. This innovative drama is based on Mark Haddon’s award-winning novel, and has been adapted for the stage by award-winning Playwright Simon Stephens and directed by Olivier and Tony Award®-winning Director Marianne Elliot. The Curious Incident of the Dog in the Night-Time is the winner of seven 2013 Olivier Awards and five 2015 Tony Awards, including ‘Best Play’. This smash-hit new production continues to play to sold-out houses in London’s West End and on Broadway and will thrill new audiences on this much anticipated tour. 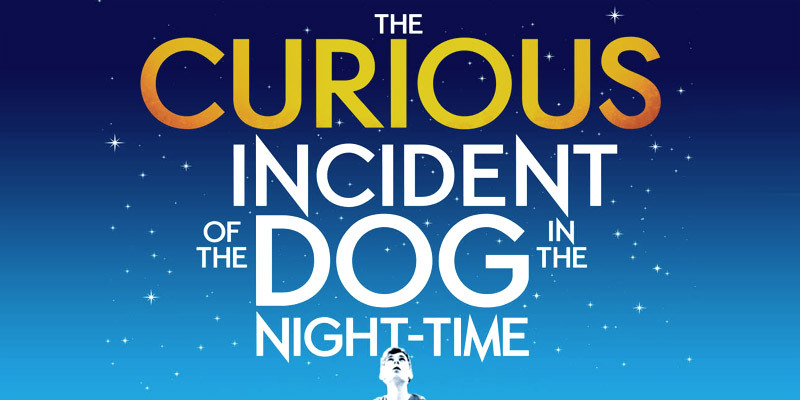 Mark Haddon’s The Curious Incident of the Dog in the Night-Time was originally published in 2003. It was the winner of more than seventeen literary awards, including prizes in Japan, Holland and Italy as well as the Whitbread Book of the Year Award in the UK in 2004.